A fun twist on the classic key chain, it's the Marvel Daredevil Retro Logo Bendable Key Chain! 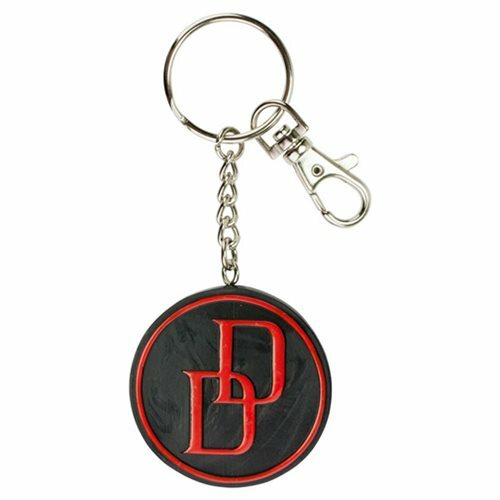 Featuring the iconic Daredevil logo in black and red, the bendable part of the key chain measures approximately 2-inches in diameter. The Marvel Daredevil Retro Logo Bendable Key Chain makes a great, easy gift for any superhero or Marvel Comics fan! Ages 3 and up.